I have always been very thankful that my twin girls have been great sleepers. They slept through the night pretty early on and have always taken a dependable nap. I don’t know how I would have survived my first two years parenting twins without their consistent sleeping. So when they began skipping their precious nap I began to panic. 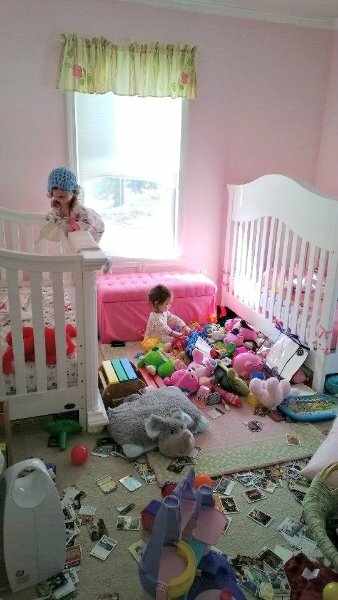 The girls started skipping their one nap each day when they moved into a toddler bed at 26 months. To complicate things even more was the fact that I was one week away from giving birth to our third child. I was tired, cranky, feeling huge, and supposed to be resting. With the transition into a toddler bed came a new freedom that the girls had never had. They quickly learned that they could play instead of nap. Their toys and books were all accessible. They could open drawers and closets at will. It was a giant party for them, and a nightmare for me. The day we switched their cribs into toddler beds. Chaos doesn’t even begin to describe what we found when we walked into their room. There were toys and books thrown everywhere. The cordless blinds had been ripped in two. Their dresser and closets had been emptied. If there was a chandelier they would have been swinging on it. I was too pregnant to deal with the madness so I called my husband crying for him to come home. 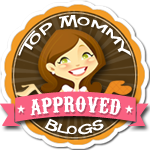 We spent the first month after transitioning into toddler beds without a consistent nap. The fact that they refused to give me a break during the day coupled with caring for a newborn and recovering from a c-section created one stressed out mama. I frantically scoured the internet for hope and tips on how to get twins to nap in toddler beds, but I was unsuccessful. I could not find positive stories. I was beginning to think that our napping days were behind us, but I held on to hope. The fact that they still easily fell asleep in the car in the middle of the day told me that they still needed a nap. I was determined not to give up. I couldn’t give up. I needed a break! Bit by bit we made changes to their room and schedule. I was hopeful that the novelty of their new beds would soon wear off and they would once again be the great nappers I knew they could be. Now, two months later, I’m proud to say that we have reclaimed their nap time, and a little piece of my sanity. Here is a list of things that we did to help get our toddlers to nap again. I like to plan at least one big activity for the day. I find that it mentally and physically tires the girls so that they are ready for a nap. It might be playing outside, scheduling a day trip, having a play date, baking, or arts & crafts. It just has to be something that will let them waste enough energy that they are tired when I put them down. The Forbidden Word refers to “nap” and it’s quickly exiting my vocabulary. The girls developed a negative connotation with the word nap. Every time I would say it, they would cry in protest. Now instead of telling them we’re going to take a nap, I simply tell them to go upstairs and into their room. It’s been a simple change that has a big impact on their reaction and cooperation. In order to keep our girls safe and their room not too much of a mess we had to re-evaluate our baby proofing. We strapped their furniture to the walls to prevent tipping. Added dresser door locks and closet locks so that the clothes stayed in place. Covered outlets to prevent toys and little fingers from a shock. I removed most things from their room that weren’t necessary. I took out extra books and toys. This kept them from associating their room with play and started having them think it was a place to rest. We rotate a few books and stuffed animals in and out but not an overwhelming number. It also helps keep down on the clutter. We put a baby gate at their door to keep them in their room. Without the gate they would surely make their way around the house. It gives us peace of mind that they are safe in their room and encourages them to sleep. 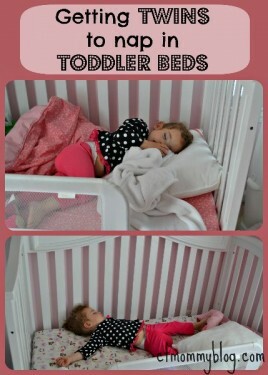 These are a few of the things we have done to reclaim nap time in our house post toddler beds. What’s working in your house?